Shi Tianjian spent seven years learning from the peasants as a "sent-down" youth in Jilin and Henan provinces. 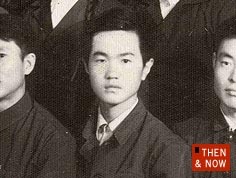 In 1977, he passed China's newly-reinstated national college entrance exam and entered Beijing University. He now teaches political science at Duke University, Durham, NC. In July 2003, he returned with his 14-year-old daughter Eleanor to his "sent-down" village in Henan province. Emily Yimao Wu spent seven years learning from the peasants as a "sent-down" youth in Anhui province. 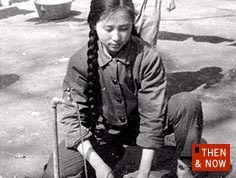 In 1977, she passed the national college entrance exam and entered Anhui Teachers University. She now is a writer living in Cupertino, CA. In June 2004, she returned with her two children -- Erik, 15, and Jasmine, 13 -- to her "sent-down" village in Anhui province. Yan Yunxiang spent 12 years learning from the peasants in Shandong and Heilongjiang provinces. In 1978, he passed the national college entrance exam and entered Beijing University. He now teaches anthropology at the University of California, Los Angeles. 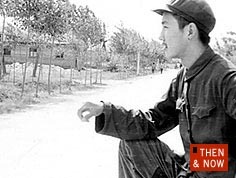 In January 2004, he returned to the village in Heilongjiang where he lived as an ordinary peasant for seven years.